Centon was the house brand of the UK camera store Jessops, for cameras and accessories including lenses, flash equipment and power winders. 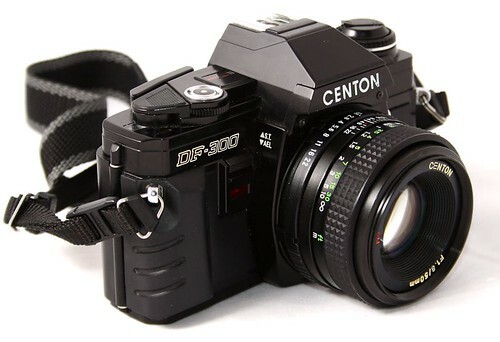 Centon cameras are either re-badged or are clones of older Japanese models - perhaps using the original tooling - but some in newer materials. At least some were made in China. ↑ The trademark 'Centon' was registered with the US Patent & Trademark Office, serial no. 75559845 on 28 September 1998 by Jessop Group Limited of Leicester, UK, and registered with reg. no. 2833465, and was cancelled on 26 November 2010; search trademarks at the USPTO search page (results page is not linkable). This page was last edited on 4 October 2018, at 05:35.